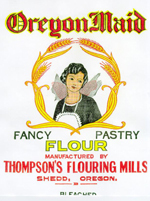 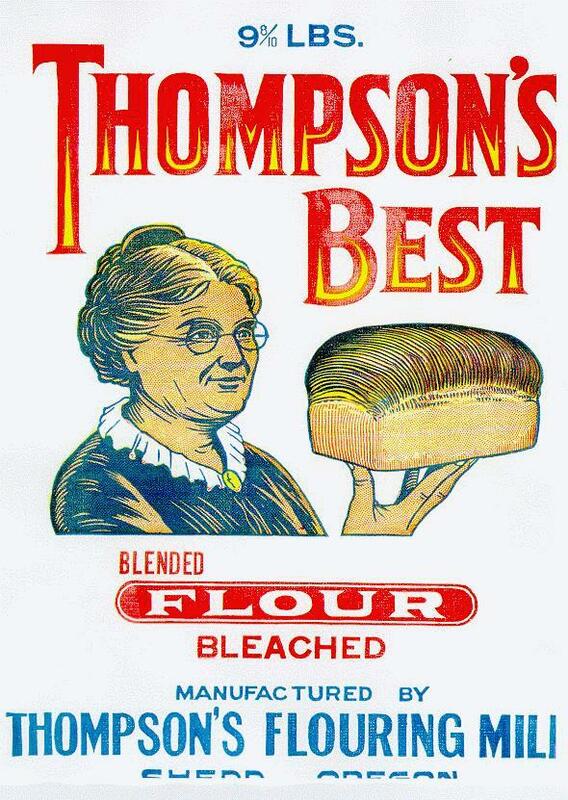 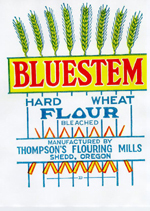 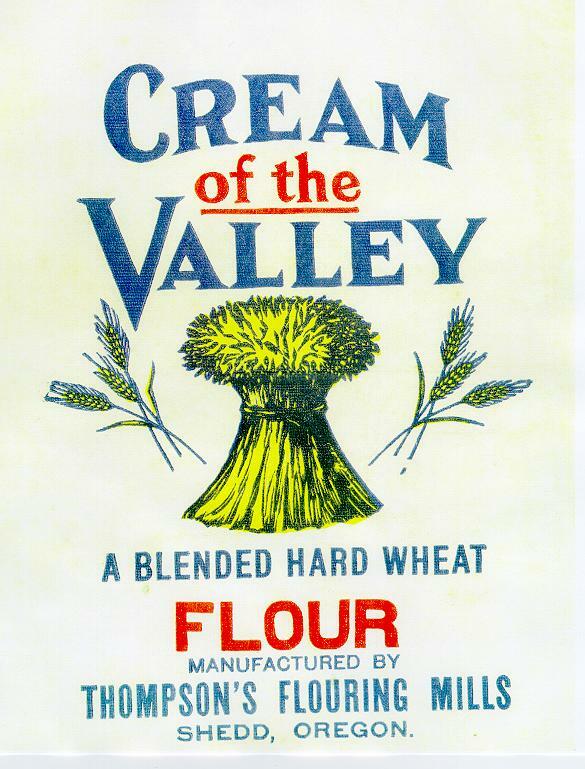 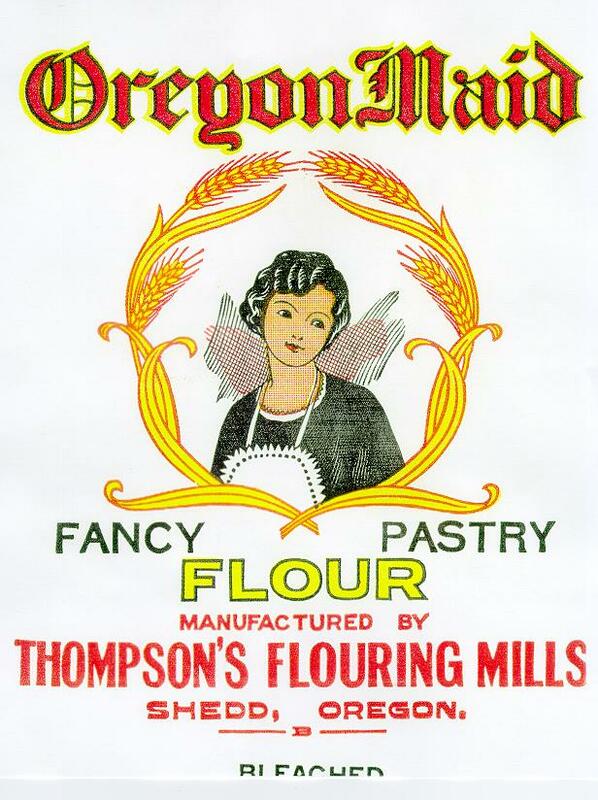 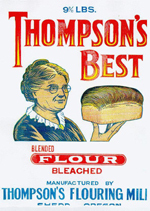 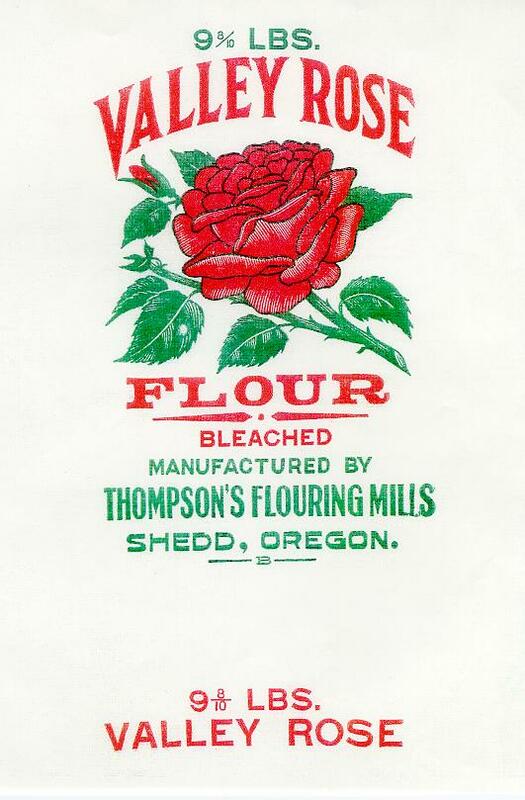 During the 1920s and 1930s Ott Thompson, owner/manager of the Thompson Mill, marketed his products directly to local area grocery stores in competition with large city mills. 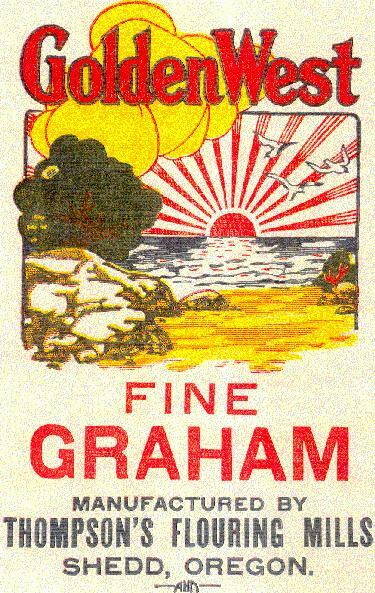 The sacks shown in this modest collection, owned by descendant Martin Thompson, are fine examples of "sack art" employed by the mill owner to attract market share on the grocers shelves. 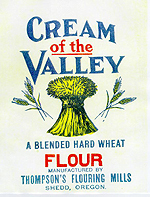 After the mill closed production, these sacks sat on a shelf and were used as oil and wiping rags, thus one or two of these unique designs have become hard to come by. 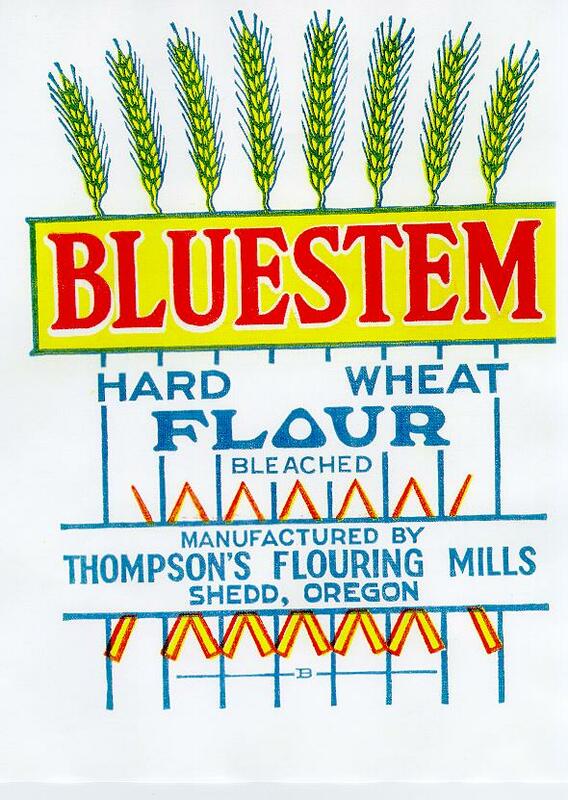 Little or nothing is known about the original artists of these brightly colored designs. 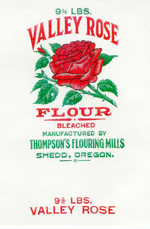 The Valley Rose and Delicious (not shown) sack designs have been placed on T-Shirts by Boston Mill Society and offered for sale as a fund-raiser.